Is Moody’s Corporation (NYSE:MCO) worth your attention right now? The best stock pickers are taking a pessimistic view. The number of bullish hedge fund positions fell by 3 lately. 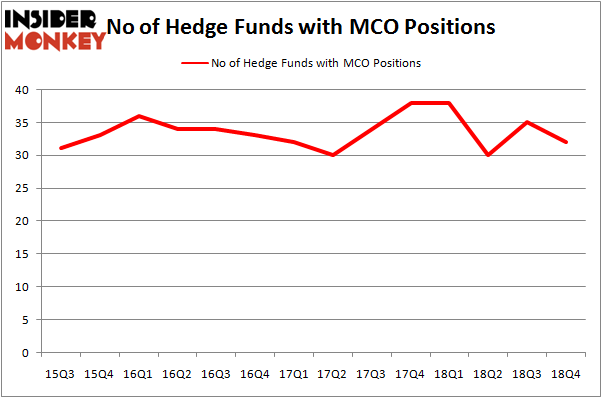 Our calculations also showed that MCO isn’t among the 30 most popular stocks among hedge funds. Let’s take a look at the recent hedge fund action regarding Moody’s Corporation (NYSE:MCO). What does the smart money think about Moody’s Corporation (NYSE:MCO)? At the end of the fourth quarter, a total of 32 of the hedge funds tracked by Insider Monkey were bullish on this stock, a change of -9% from one quarter earlier. By comparison, 38 hedge funds held shares or bullish call options in MCO a year ago. With hedge funds’ capital changing hands, there exists an “upper tier” of key hedge fund managers who were adding to their stakes considerably (or already accumulated large positions). Among these funds, Berkshire Hathaway held the most valuable stake in Moody’s Corporation (NYSE:MCO), which was worth $3454.8 million at the end of the third quarter. On the second spot was Akre Capital Management which amassed $795.7 million worth of shares. Moreover, Windacre Partnership, AltaRock Partners, and Cantillon Capital Management were also bullish on Moody’s Corporation (NYSE:MCO), allocating a large percentage of their portfolios to this stock. Judging by the fact that Moody’s Corporation (NYSE:MCO) has witnessed a decline in interest from the entirety of the hedge funds we track, we can see that there is a sect of fund managers that elected to cut their entire stakes last quarter. Intriguingly, Steve Cohen’s Point72 Asset Management said goodbye to the largest investment of the “upper crust” of funds watched by Insider Monkey, totaling an estimated $156.3 million in call options, and Israel Englander’s Millennium Management was right behind this move, as the fund dropped about $16.7 million worth. These transactions are interesting, as total hedge fund interest dropped by 3 funds last quarter. 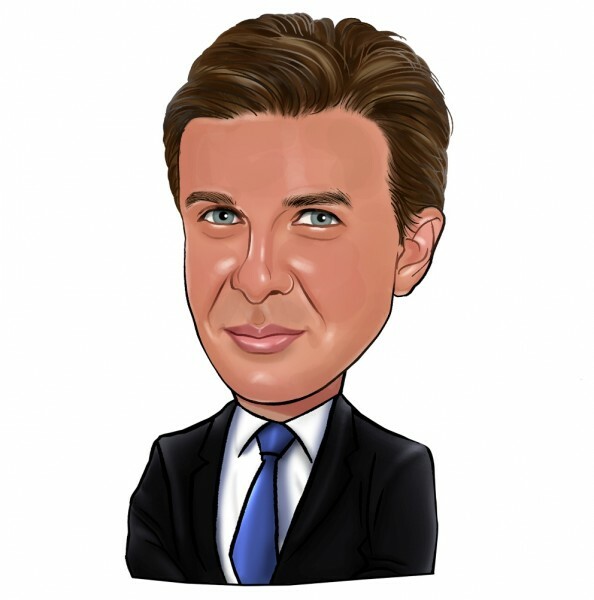 Let’s check out hedge fund activity in other stocks similar to Moody’s Corporation (NYSE:MCO). These stocks are The Williams Companies, Inc. (NYSE:WMB), Public Service Enterprise Group Incorporated (NYSE:PEG), Takeda Pharmaceutical Company Limited (NYSE:TAK), and Southwest Airlines Co. (NYSE:LUV). This group of stocks’ market caps are similar to MCO’s market cap. As you can see these stocks had an average of 29.75 hedge funds with bullish positions and the average amount invested in these stocks was $1639 million. That figure was $5116 million in MCO’s case. Southwest Airlines Co. (NYSE:LUV) is the most popular stock in this table. On the other hand Takeda Pharmaceutical Company Limited (NYSE:TAK) is the least popular one with only 10 bullish hedge fund positions. Moody’s Corporation (NYSE:MCO) is not the most popular stock in this group but hedge fund interest is still above average. Our calculations showed that top 15 most popular stocks among hedge funds returned 19.7% through March 15th and outperformed the S&P 500 ETF (SPY) by 6.6 percentage points. Hedge funds were also right about betting on MCO as the stock returned 26.5% and outperformed the market as well. Were Hedge Funds Right About Souring On Canon Inc. (NYSE:CAJ)? Hedge Funds Dropped The Ball On Fortive Corporation (FTV) Is IQVIA Holdings, Inc. (IQV) A Good Stock To Buy? Here is What Hedge Funds Think About BT Group plc (BT) Here is What Hedge Funds Think About AutoZone Inc. (AZO) Were Hedge Funds Right About Flocking Into Sempra Energy (SRE)?